The AFP Mighty Wheel is made from a special black TPR foam. The hard toy returns to its original shape after the dogs teeth come out. 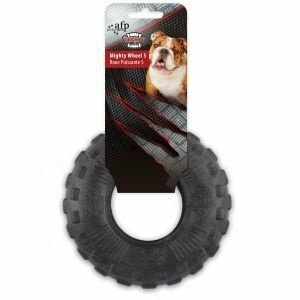 Ideal for tough chewers.